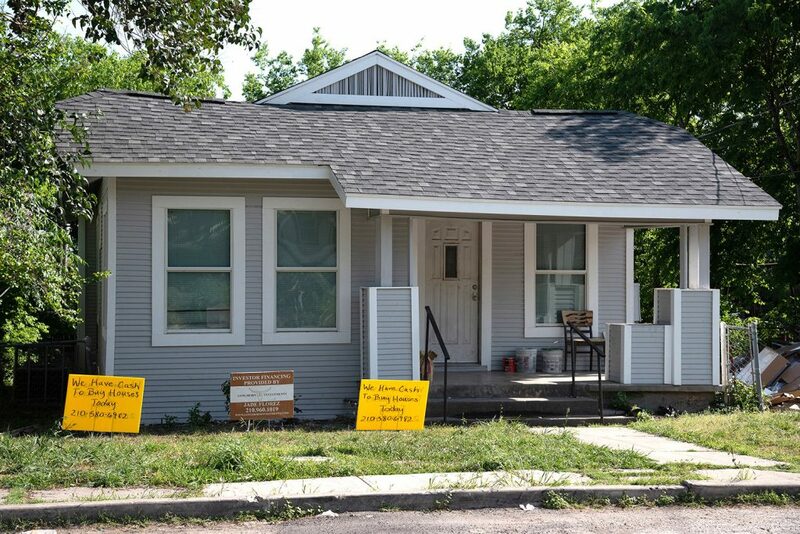 Last week, valuations were sent to property owners across Bexar County. We requested the latest data from the appraisal district for Government Hill, Dignowity Hill and Denver Heights, the three near East Side neighborhoods that have become case studies for gentrification in San Antonio. We crunched the latest appraisal data to find the median property value for each neighborhood, a method we prefer over the average because it’s more accurate and representative of what’s going on in these communities. » Dignowity Hill has the highest median value at $170,890. That’s a 23 percent increase from last year’s median figure of $138,850, and a 189.5 percent soar from the 2015 figure of $59,010. » Government Hill’s median value came in at $116,370, which is a 11.7 percent increase from last year’s figure of $104,100. The latest middle value in Government Hill has also appreciated 75.8 percent since the 2015 value of $66,180. » Denver Heights’ median property value is $99,190, which is a 13.7 percent increase from $87,190 in 2018. In the last five years, the median value has skyrocketed 163.9 percent from the 2015 figure of $37,580. This is the data side of things. In the coming days, look for our report as we go into Government Hill and Denver Heights and talk to residents in the midst of the property value boom. It’s worth noting that Government Hill and Denver Heights are two of three neighborhoods the city is considering in which to freeze city property taxes for no more than 10 years, through a state law called neighborhood empowerment zones (NEZs). The other community being considered for NEZ designation would be in the near West Side close to the University of Texas at San Antonio (UTSA). West Side preservation groups have warned about potential displacement of residents as a result of UTSA’s expansion, which it plans to execute over the next 10 years. Just to clarify on the neighborhood empowerment zone (NEZ) proposal. COSA is considering giving a ten year tax freeze to homeowners in select neighborhoods. If/when those homeowners decide to sell their property, they keep the tax break and also get the benefit of rising property values. Is that how it works? Or do they pay back the tax savings from the tax freeze when they sell their property at the appreciated market value? Because if they get the tax freeze AND get to sell at the increased market value, isn’t that a windfall for them at the expense of all the other taxpayers? Am I missing something here?